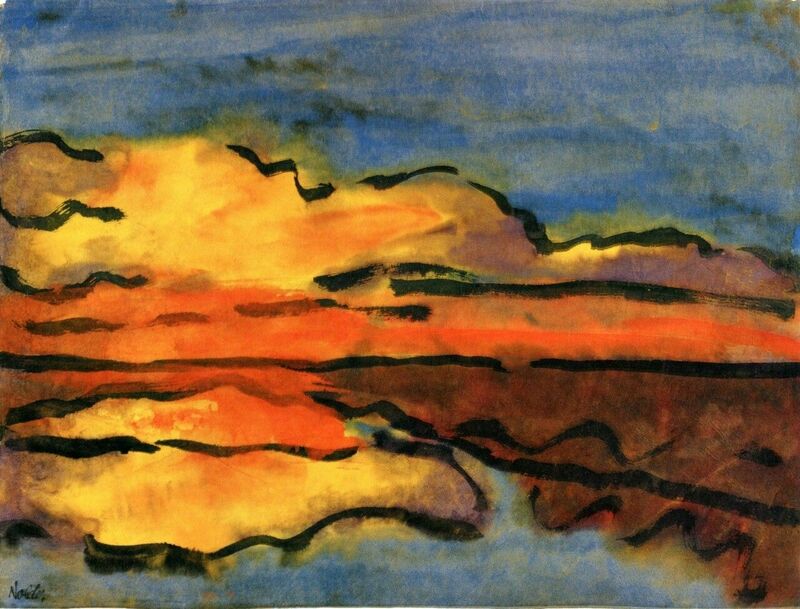 The German Expressionist artist Emil Nolde was a prolific painter and printmaker. 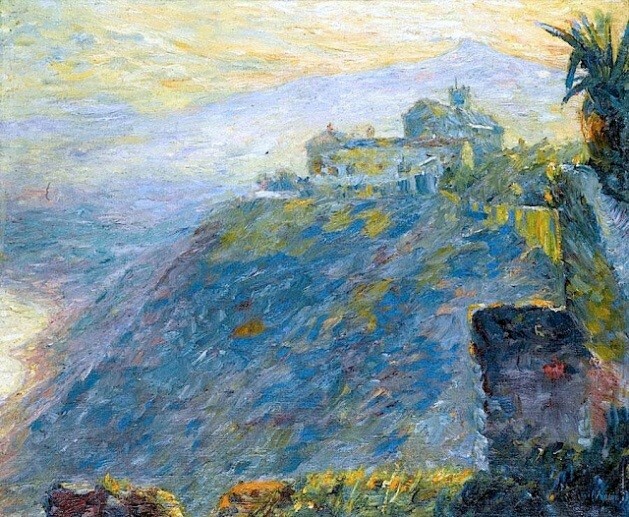 This exhibition, a collaboration between the Scottish National Gallery of Modern Art and the National Gallery of Ireland, will present a bold and colourful survey of his paintings, drawings, etchings, and woodcuts. Included will be scenes of Berlin café culture, calligraphic views of the River Elbe, brilliant studies made on travels to the South Seas, as well as portraits, flower paintings, and imaginative depictions of fantastical creatures in both oils and watercolours. This exhibition will be the first to showcase the work of this important artist in Ireland for over fifty years. 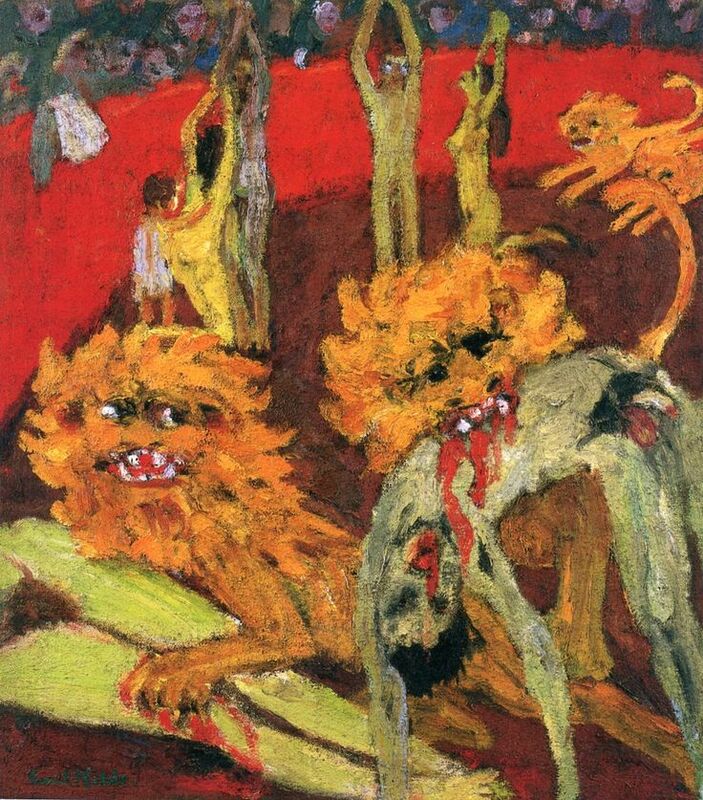 All works are on loan from the Nolde Foundation Seebüll, Germany. Curator: Janet McLean and Sean Rainbird, National Gallery of Ireland, with Keith Hartley, Scottish National Gallery of Modern Art. 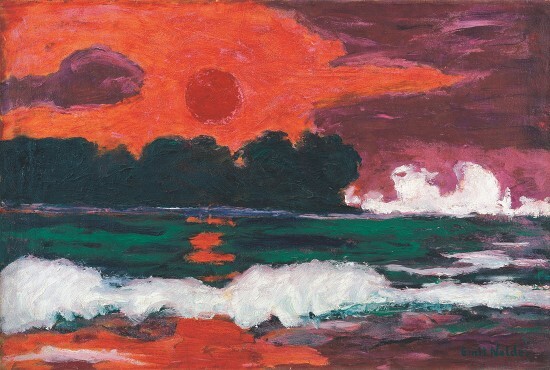 Emil Nolde, Tropical Sun, 1914 © Nolde Foundation Seebüll.